Coolbanagher Castle was a Hall House on the outskirts of Portlaoise. It was originally built in the 13th or early 14th Century as part of the Anglo-Norman line of defence which extended into Co. Laois. The Tower may have been part of an outer defence line of the stronghold of Dunamase. It was built of locally-sourced limestone and extended to four stories in height with a stringcourse lining its upper reaches. There was defensive base batter which prevented battering rams from being effective in times of Medieval sieges. The Castle seems to have fallen into disrepair by the 15th Century but was leased and a grant was provided for improvements to Robert Hartpole (Governor of Queens County) in 1563. The last mention of the castle was in the 1650's when it came into the ownership of Sir Richard Parsons of Birr Castle, Co. Offaly. 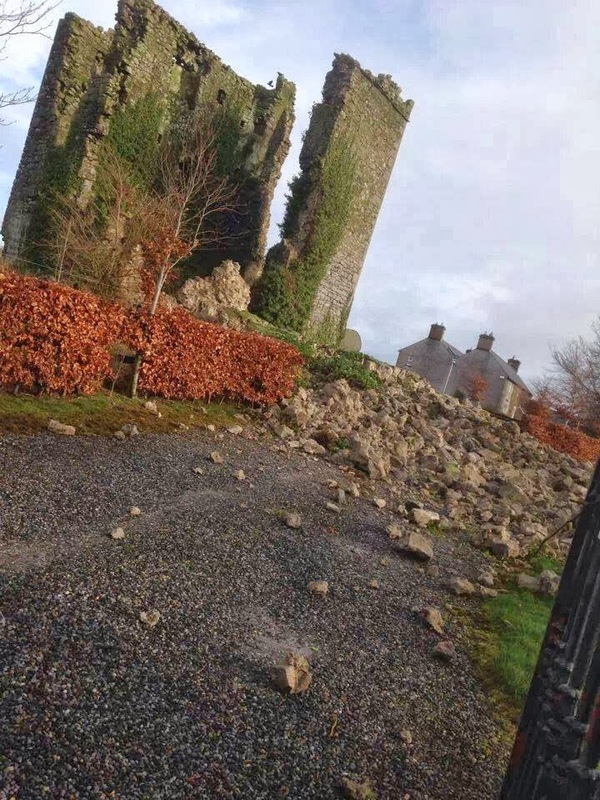 The southern facade of the castle fell to during storm Darwin in early February 2014. The remainder was deliberately demolished on Monday 24th February 2014. Today this Laois landmark stands proud no more. 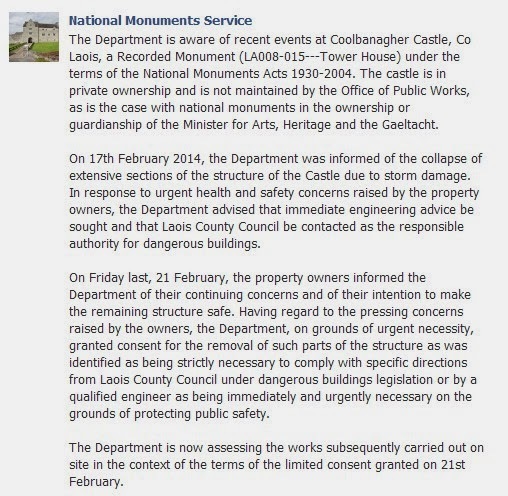 The Department is aware of recent events at Coolbanagher Castle, Co Laois, a Recorded Monument (LA008-015---Tower House) under the terms of the National Monuments Acts 1930-2004. 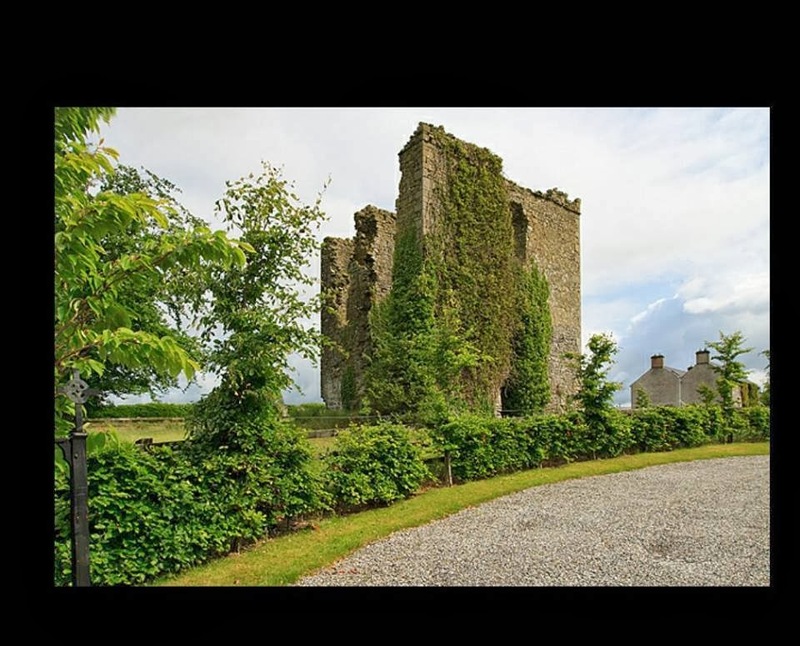 The castle is in private ownership and is not maintained by the Office of Public Works, as is the case with national monuments in the ownership or guardianship of the Minister for Arts, Heritage and the Gaeltacht. The Department is now assessing the works subsequently carried out on site in the context of the terms of the limited consent granted on 21st February. More pictures of the site, mostly from before the collapse, are available on the NMS Facebook page: here. Article in Irish Independent. Click for larger image. 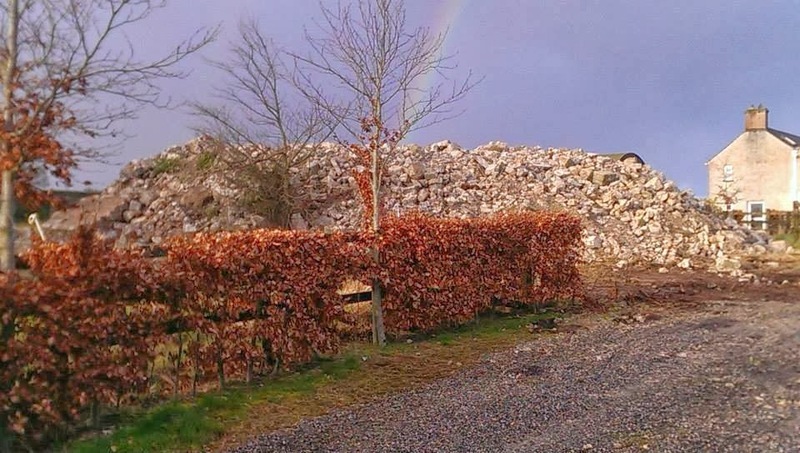 Post on The Standing Stone blog with background and more pictures of the demolition: here. **Update: Monday 3rd March 2014. 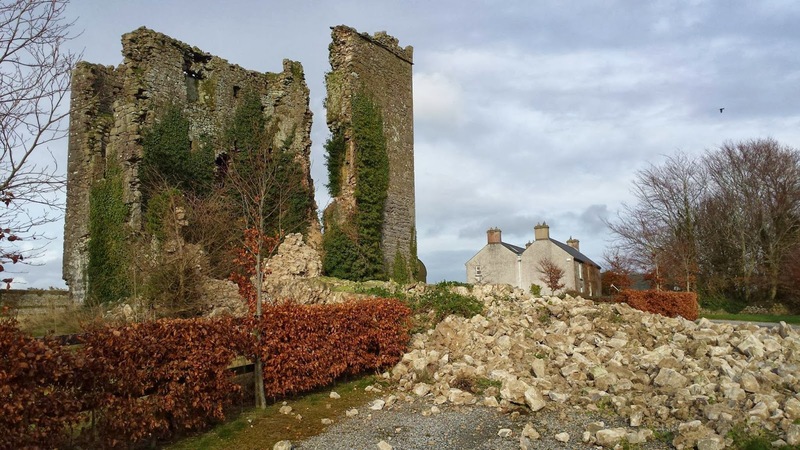 Coolbanagher features on RTE Radio 1 show Morning Ireland (available as downloadable podcast): Laois castle falls victim to recent storms: Cian McCormack reports from the site of 800-year-old Coolbanagher Castle which once dominated the landscape of Emo outside Portlaoise. **Update: Tuesday 4th March 2014. Report in Leinster Express online edition: here. Updates will be posted here and on the Laois Archaeology Facebook page. Looking back on that time in my life where I attempted to make a living from archaeology, I see that I went through a regular cycle. About once a year, from when I was awarded my MA in 1998 up until I finally left field archaeology in 2011, I would convince myself that I was going to do a PhD. I’d get deeply entranced by a single subject and decide that – this time – finally – I was going to settle on a subject that I could work on for several years and emerge as the all-knowing expert on. That’s how it started. Invariably, something would happen along the way to put a halt to these grand plans. Sometimes it was my realisation that I just couldn’t afford the time and money at that point in my life. At other times it was the feeling that the topic wasn’t sufficiently interesting to sustain me over the long-haul. On the few occasions I had sufficient motivation to approach a university department, it was them who though the topic wasn’t sufficiently interesting. The worst one was always when I got so far, only to discover that I’d been beaten to the topic and all I thought I could potentially add to the discussion was already said, and generally with deeper thought and more eloquence than I could have managed. One of my worst experiences in this regard was around 2000 when I was working in the Drogheda region. I spent an awful lot of time commuting on the train between there and Belfast. The frequent journeys gave me ample time to read and reflect and I decided that this was definitely the year I was going to start on a PhD. No doubt about it! I had been reading a little about Bronze Age burials and thinking that it was an area that could do with a serious re-examination and I was going to be the guy to do just that. I got pretty far before I encountered the writings of Charles Mount [Website | Academia.edu | Blog | LinkedIn | Twitter]. The short version of the story is that pretty much every avenue I thought might make an interesting research pathway, Mount had been there first. I was horrified. I was desolated. I was remarkably annoyed with him! I’d like to say I learned a valuable lesson about creating impressive research proposals without being fully aware of the current research landscape, but subsequent events have proven otherwise. The one salient point I did take from this experience was that Charles Mount bears watching! To this day, if I see something written by him, I know it’s worth taking the time to engage with. In recent years I’ve followed his blog posts with great interest. They’re invariably educational, entertaining, and well researched. In recent times he’s developed an interesting series of posts chronicling the decline (and slight rise) of the archaeological profession through a series of proxy data sets. As far as I can ascertain, his earliest post on this topic was in October 2011 when he published Archaeological Licenses: a Real-time Indicator of Construction Output. In this he correlated the decline in excavation licences issued from 2008 against the Production in Building and Construction Index, produced by the Irish Central Statistics Office. In this piece he concludes that: ‘The correlation between archaeological licenses and construction output suggests that any future increase in the latter will be preceded by an increase in the numbers of the former. By keeping an eye on the relative numbers of licenses issued and making quarter on quarter comparisons economy watchers may be able to pick up an early signal of a return to construction growth.’ In January 2012 he returned to the theme with Excavation Licenses indicate continued reduction in archaeological and construction activity in 2011. Here, based on the number of excavation licences issued, he correctly predicted ‘a further decrease in archaeological activity during 2012’. An update in April 2012 (Early indicators suggest that activity in the Irish archaeological and construction sectors continued to decline in the first quarter of 2012: updated) confirmed the trend. Further results along the same lines were posted in June, July, October, and December 2012. March 2013 brought a return to the topic in Continuing decline in Irish archaeological activity outstrips the decline in construction. In this he noted that ‘A worrying trend is that the rate of decline in archaeological activity has barely slowed and is now running at more than twice the rate of the decline in construction activity. This may indicate that there are other factors causing the decline of archaeological activity other than just the aggregate decline in construction activity.’ In two posts in April 2013 [here | here] Mount argued that there were reasons to be hopeful, if not for recovery, then that the recession was slowing. By July 2013 he was confident enough to publish the self-explanatory post: The decline inarchaeological excavation in Ireland has stopped! Again, his data was based on the numbers of archaeological excavation licences issued, along with information from Ulster Bank Construction PMI Report, and the Irish Central Statistics Office. In October of that year, this was followed up with: After a stable year recovery appears on the horizon for Irish archaeology; followed by Irish archaeology turns the corner in 2013 in December. Admittedly, it is only the most modest of recoveries, being marginally better than the egregious previous year. For anyone wishing to pour over these rather brilliantly written and researched, but quite depressing, posts I have created a comprehensive Charles Mount bibliography at the end. I’ve followed these posts from the beginning and devoured each as it was posted. 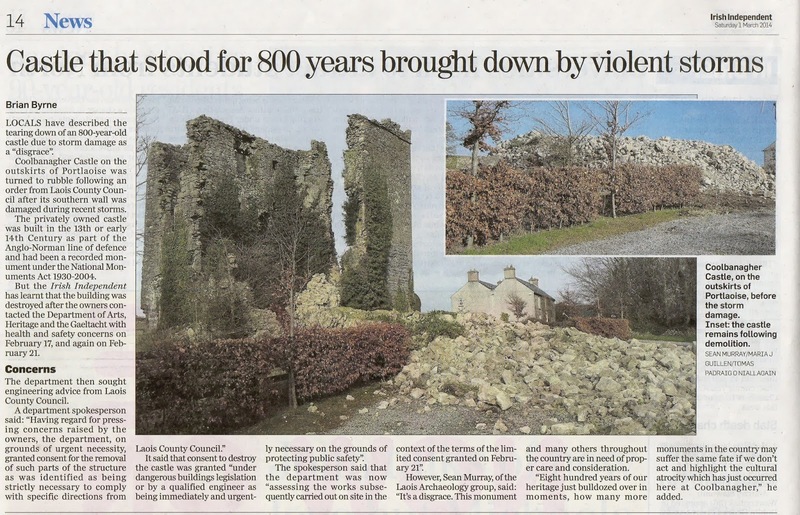 In my post Empire of Dirt: time to call time on commercial archaeology in Northern Ireland? I used the same form of data (reports on archaeological licences published in the annual Excavations Bulletin) from Northern Ireland to examine how excavation rates do not match publication rates. At the same time, as a means of examining the health of commercial archaeology, I’ve never been happy with it. The biggest problem I find with this form of data is that all excavation licences are not created equal. It’s a simple point, but deserves stating. One licence can cover a huge excavation that lasts several months and employs dozens of archaeological staff – think of the scale of the Drumclay crannog, for example. At the other end of the scale, I’ve done more than enough jobs where the same licence covered a just me watching a mechanical excavator trenching for half a day. Don’t get me wrong, I am in no way criticising Mount for using this proxy data. As the best available measure it has functioned well as a means of recording the vicissitudes in the profession. In conjunction with other data, he has even used it as a predictive tool. It’s just that I’ve had a nagging suspicion that there must be a better way to see the true scale of the recession and how it has impacted on commercial archaeology in Northern Ireland … if only I could find it! Annual Returns for each company in the UK must be lodged with Companies House in Belfast. Quite a lot of that data is available on the internet – for free – if you just know where and how to look. I’ve been able to examine outline accounts from the four main Northern Ireland based commercial archaeological companies from 2007 – before the beginning of the recession – until 2013. True, the data lacks the immediacy of Mount’s interrogation of the licencing data, but it does have the advantage that it sets out the positions of each individual company with actual pound signs attached. My initial intention was to anonymise the data, so that it could not be linked back to any specific company. However, on the basis of legal advice received, I have taken on board the need to prove that the data presented is verifiable and correct. For this reason, though I will not name any company directly, I will refer to each by their year of incorporation. Anyone wishing to examine my baseline data and interrogate it for themselves will find an Appendix where the companies are listed by date of incorporation and linked to their current records in CompanyCheck [here]. I’m going to start with the oldest archaeological consultancy in Northern Ireland. They were founded in 1990 and have two registered directors. From the graph and corresponding data table we can see that they went from closing 2007 with just £69 in the bank to £8.7k the following year. In the years since, this has dropped to £109 (2009) and £115 (2010), before falling to a zero balance in 2011 – the last year that accounts are available. The Current Assets for this company go from £706k in 2007 to just a shade over £1.9m the following year. This value dropped to £1.4m in 2009 and £381k in 2010, before making a light recovery in 2011 to £526k. This represents a high to low drop of 80%, or a 72% drop to the 2011 level. A similar tale is told by the Current Liabilities. These go from £625k in 2007, to a peak of £1.7m in 2008, falling back to £737k and £511k in the two years following. This increased to £590k in 2011. Again, this represents a high to low fall of 70%, or a 66% drop to the 2011 figure. However, the real story is told by the valued Net Worth of the company. In 2007 this was listed as £128k, increasing to a maximum of £329k in 2009. This plummeted to -£105k in 2010, recovering only slightly in 2011 to -£37k. This represents a maximum to minimum drop of 132%, and a drop of 111% from the maximum to the 2011 figure. The next company tells a relatively similar story. This outfit were founded in 1997 and have three registered directors. This company and those following have data available for the period from 2008 to 2012. Their Cash a Bank was at a high in 2008 with £33k, plunging to £155 in 2010 and a mere £12 in 2011. By 2012 they had made a modest recovery to the dizzying heights of almost £9k. In terms of highest to lowest, this represents a 2008 to 2011 fall of 99.96%. The Current Assets tell a broadly similar story, with a 2008 high of almost £260k, reduced to a mere £81k by 2012, and a 2011 trough of £62k. This represents a highest to lowest decline of 76%. Current Liabilities started at £88k in 2008, falling to £62k the following year, and ending at £34k in 2012. 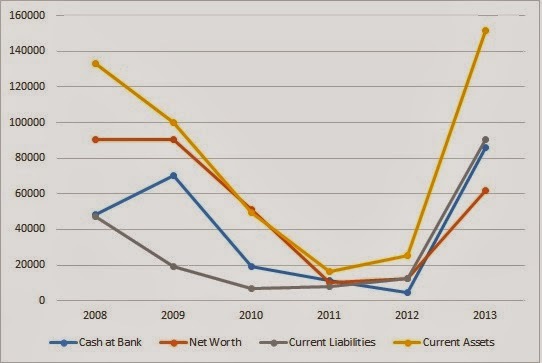 In between these points liabilities hit £97k in 2010, and remained steady at £94k in 2011. From its peak in 2010 to the most recent available accounts, this represents a reduction in liabilities of 64%. Where the truly shocking story lies with this company in in terms of its Net Worth. It goes from a 2008 high of £188k – not an inconsiderable sum – to £104k in 2009. By the following year this had reduced to a paltry £7k, before plunging to a staggering -£24k in 2011. 2012 saw a modest recovery to just over £14k. All told, the high to low plunge for this company was a decrease of 113%. The third company operational in Northern Ireland was founded in 2002 and has two directors. In terms of Cash at Bank, their low point was in 2008, when they had a mere £1.5k. This increased the following year to £51k, but by 2012 had dropped back to £10k, a fall of just over 80%. Current Assets dropped from a high of £376k in 2008 to an all-time low of £113k in 2012, a depletion of 72%. Throughout this period Current Liabilities fell from £145k in 2008 to £93k in 2009, remaining relatively steady in the period since, closing at £113k in 2012. 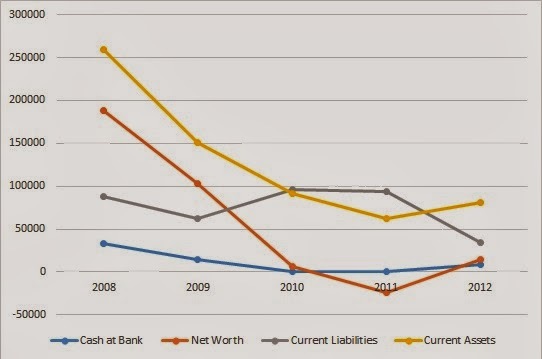 Thus, in the period from 2008 to 2012 liabilities dropped by 36%. 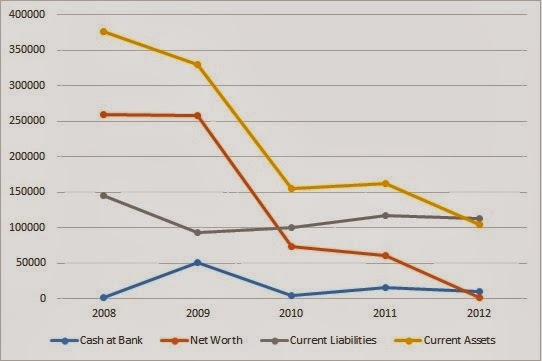 Like with the previous example, the most shocking aspect of the information is the steep decline in company Net Worth. In 2008 it was at an all-time high of £269k, eventually depreciating to a mere £1.7k in 2012, a fall of 99.32%. The last company to be examined was founded in 2005 and has two registered directors. Since I began this project, the available company data has been updated to include 2013 accounts, but the 2008 data has been dropped. They ended the 2008 financial year with a Cash at Bank balance of £43k, increasing this to £70k the following year. This has fallen year on year until 2012 when the balance was a mere £4.6k. This has made an impressive recovery to £86k in 2013. Altogether, this represents a low to high increase of over £81k. The Current Assets were valued at £133k in 2008, falling to an all-time low of £17k in 2011, before making a very modest recovery in 2012 to £25k, and increasing again to £152k in 2013. Current Liabilities were listed at £47k in 2008, falling to a minimum of £6.5k in 2010, and rising steadily to £12k in 2012, and £91k in 2013. The final measure, Net Worth, was listed in 2008 as £90k, falling to a low of £9.9k in 2011, again making a modest recovery in 2012 to just over £12k, and increasing markedly to £61k in 2013. While there are many caveats, graphing the averages of these individual company totals should give us some idea of the relative year-on-year financial health of commercial archaeology in Northern Ireland over the seven years from 2007 to 2013. Unfortunately, data points at either end – 2007 and 2013 – are less robust than we would like, as they are each supported by a single data point. If we confine our observations to the core data from 2008 to 2012, a number of observations may be made. The first thing we observe is that the average Cash at Bank value starts at £23k in 2008, rising to £33k by 2009, falling off thereafter, to just over £6k in both 2010 and 2011, before improving marginally to just under £8k in 2012. With the exception of a slight resurgence in 2011, the average value of Current Assets falls every year from £667k in 2008 to £70k in 2012. This is mirrored in the average Current Liabilities which, despite a minor resurgence in 2011, fell steadily from £500k in 2008 to £53k in 2012. Finally, the average Net Worth metric shows a minor increase in 2009 to £195k from £192k the previous year. However, thereafter it falls sharply to under £6.5k in 2010, £2.3k in 2011, before making a modest return to £9.5k in 2012. 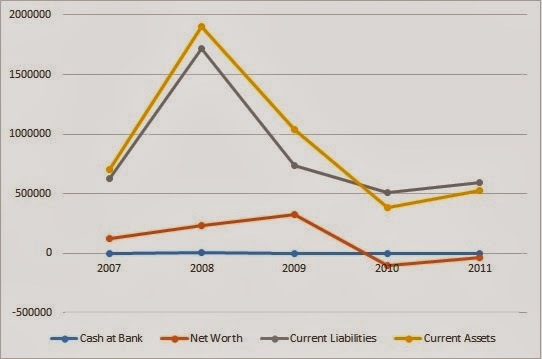 However, these figures are heavily influenced by significant negative Net Worth recorded for the 1990 company in 2010 and 2011, and by the 1997 company in 2011. As I have noted above, the significant upturn in all of these metrics for 2013 is based on the returns of a single company. Nonetheless, I’ve no reason to believe that when other data becomes available it will not show a similar increase for the 2013 financial year as seen by Mount for the Republic of Ireland. Even if my data does eventually show this slight return to health, I find myself unable to cheer at the thought of a few additional low-paid jobs in poor conditions for highly-trained professionals. Big whoop! True, I have the ‘advantage’ of no longer being in the profession – but it is an advantage I didn’t want and never asked for. Maybe if I was still drinking the company-approved kool-aid I’d feel differently about it, but that’s not where I am anymore. In the Empire of Dirt post, I wrote about the lack of value that commercial archaeology in Northern Ireland was actually contributing to our shared knowledgebase. In these figures I think we can see the true fragility and ephemerality of the enterprise – a few poor years have drastically reduced the commercial viability of all of these companies. They’ve all seen a vast reduction in their worth; two companies in particular finished 2010 and 2011 with a negative net worth. They survived into the following year, but (and I’m guessing here) had their banks taken a different view, they could have been forced to close for good. Where do we go from here? I’m not sure. Removing the commercial companies from the scene, and returning all archaeological excavation to the realm of the state bodies will lead to numerous sites being bulldozed without record. It’s a horrifying thought for anyone who cares about our heritage in any way … but it is no different from the situation as it stands, where site after site is excavated to increasingly poor standards, with little or no prospect that they will be written up to Final Report (grey literature) standard, much less see the light of day as published work. In Empire of Dirt I argued that “Even if the commercial archaeological consultancies were swept away, it would not be the end of the world. True, there would be fewer excavations carried out, but the chances of those excavations actually being published and contributing to knowledge – i.e. doing what archaeology is actually about – would be much higher.” At that time I proposed that the track record The Centre for Archaeological Fieldwork (CAF) [Website | Facebook] at QUB shows that there is a viable model already in existence for high-quality excavation, public outreach, and dissemination of results to both specialist and general audiences. In the intervening period, I have seen nothing to dissuade me from this view. In the time frame I’ve been able to examine, it is clear from the figures that these companies have suffered huge declines in terms of profitability, though their liabilities have also decreased at the same rate. Even if the 2013 results of a single company are representative of the whole sector, they still represent only a modest increase in profitability. But here’s the thing – they have all come pretty close to the edge of financial viability. Had they crossed over and been forced into administration and eventual bankruptcy, they could have taken a sizable portion of the excavated heritage assets of Northern Ireland (and some sites in the Republic of Ireland) with them. A paper by Hull (2011) for the Research and Information Service, commissioned for the use of The Northern Ireland Assembly, estimates that some 1.4 million archaeological artefacts were held by commercial archaeological companies at that time. That’s an awful lot of archaeology. The day we drive by one of these businesses and see artefacts and paper archives being treated as useless junk, hefted into skips, and taken to the dump – it’s too late. 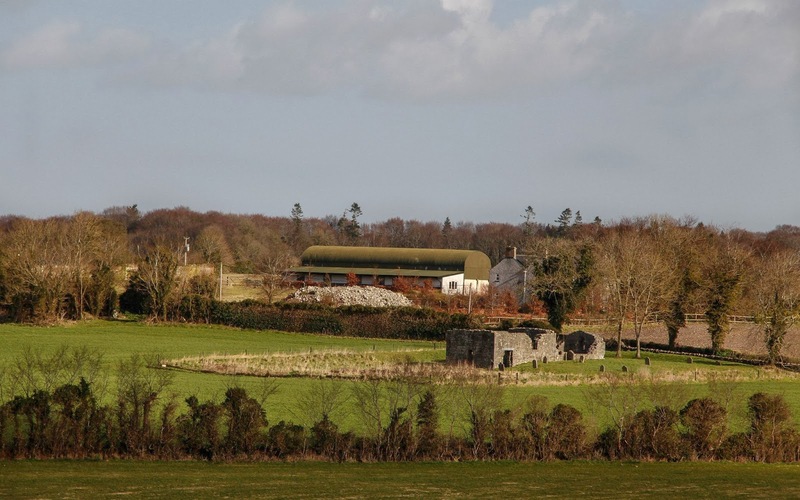 The fate of commercial archaeology in Northern Ireland is still in the balance. It is time to decide if allowing a profit-based model is the best way to serve our heritage needs. If it is, then we need to be prepared for the possibility of negative outcomes where companies collapse and their financial assets are sold off and our shared cultural assets are placed in peril. We still have time – if we act now – to ensure that that measures are put in place as a safety net to protect our excavated heritage. Be under no illusion - Eden is quite definitely burning, but there’s still time to save the tree of knowledge. The title of this post is taken from ‘The Hazardsof Love 4’, from the remarkable album, The Hazards of Love, by Portland-based indie folk-rock geniuses The Decemberists. Go check them out! I would also point out that I’m still in search of a PhD and any enquiries from University departments wishing to honour me for a lifetime in archaeology would be greeted most warmly.